You have probably thought about your new years resolutions all year. I’m going to lose weight!…next year. I’m going to exercise more!…next year. I’m going to have more fun!…next year. The new year is everyone’s chance to start fresh. That goes for your pet do. Start the new year off right with these resolutions you can both enjoy. It is an unfortunate fact that over fifty percent of of the American population is classified as being overweight. If you think its time that you let go of those extra pounds, the same might be said for your pet. One great way to stick with an exercise routine is to have a partner and chances are, your pet will be more than willing to take on that role. Pump up your daily walk and turn it into a run. Go swimming together or even invest in a couple treadmills you can both enjoy. Weight loss isn’t just about exercise, it is about eating right. Most pet owners eyeball food portions for their pet and themselves, resulting in overfeeding and weight gain for both of you. This year, start measuring out your food exactly. Get an eight ounce measuring cup and use this to scoop your pet’s food. Measuring your own food is a little trickier. So long as you choose smaller portion sizes, you will see results. People who go on vacation regularly are healthier than those who don’t and the same goes for your pet. If there is some place you have always wanted to see or an activity you have always wanted to try, this is the year to do it! Think about how your pet can participate and then the two of you can build memories together for you both to enjoy for years to come. It is easy to get caught up in work and forget to spend some time enjoying yourself and your pet. This is the year to balance out work and play. End the work day on time and spend your free time playing with a laser toy, throwing the ball or playing a good old game of tug of war. You and your pet will be much happier by next year because you took time to enjoy one another. 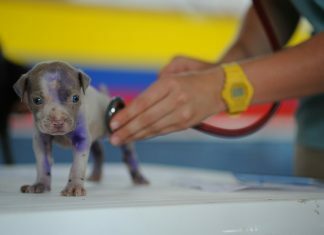 Many of us forgo a visit to the vet or doctor until we don’t feel well or even until it is too late. While taking that time may feel like a hassle, these visits help catch and even prevent diseases. Diabetes, arthritis and obesity are a lot more likely in all aging creatures. The sooner you catch these diseases in either you or your pet, the easier it’ll be to manage them in the future. Invest your time and money in reliable medical professionals so that you and your pet can enjoy a happy and healthy life.